Valley Hill Farm was established in 1990 by Tom and Barbara Lee. Valley Hill Farm was established in 1990 by Tom and Barbara Lee. 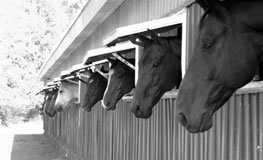 The name represents the differences in the types of horses that each one trains. Barbara trains hunters for foxhunting and Tommy is an American Saddlebred trainer. Although complete opposites, the versatility of the saddlebred and saddlebred cross, soon became popular with the foxhunting half of the farm. 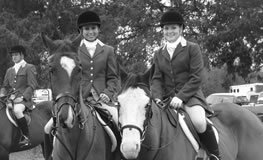 Barbara raises and trains horses and riders for the hunt field as well as for competing at local shows. She has been teaching in the Augusta area since 1983 and has developed a reputation for safe and efficient riders. Her hunters are talented and reliable. 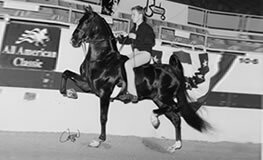 Tommy is a nationally known American Saddlebred breeder and trainer. He has started many champions including VHF The Licorice Drop Kid – Reserve World Champion Fine Harness who stands at stud at Valley Hill. They work together on summer camps and day care field trips. The Lees believe in a safe, fun, family atmosphere in which people learn to become total horsemen and horsewomen .